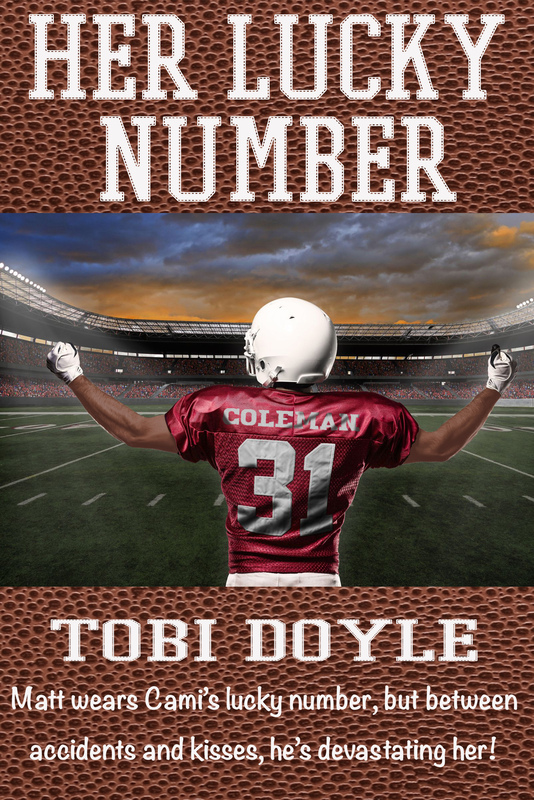 To all my readers who love football and are looking for a hot read during spring break, please enjoy Her Lucky Number, available now at Amazon.com and coming soon to Nook and Kobo. Cami Lansing loves her family more than anything. When her older brother Gabe gets a great contract as a place kicker and moves to California he wants her to come with him. Being born deaf Gabe has never been comfortable speaking in public, and he relies on Cami to speak for him. She doesn’t mind except that she seems to be stuck in the path of destruction in the form of his teammate, Matt Coleman. Matt is too attractive, too charming, and loves to whip his fans into frenzies which have resulted in her concussion, broken foot, and second degree burns down her back from scalding coffee. She can’t seem to avoid him, although she desperately tries. She’d like to hate him but he’s so sweet to her brother and well, she’s attracted to him also. If only they could get their chemistry to be compatible instead of so combustible. Are you going to be writing about Chelsea and Gabe? Be sure to check back, friend me on facebook at tobi doyle macbrayne for updates – and somehow I’ll figure out how to do a mailing list so I can email folks my next book. Right now, Rebound Baby, Too was just released and I’m writing Rebound Baby, Triplets. Another manuscript imPerfect is being edited by my very talented writing partner, Rebecca Barray. It’s set in San Francisco as well. Thanks so much I’ve recently read everything that Amazon has that you have written and can I say that I can’t wait for the Rebound Baby Triplets. A TJ story with dark secrets that would be very interesting thanks again.